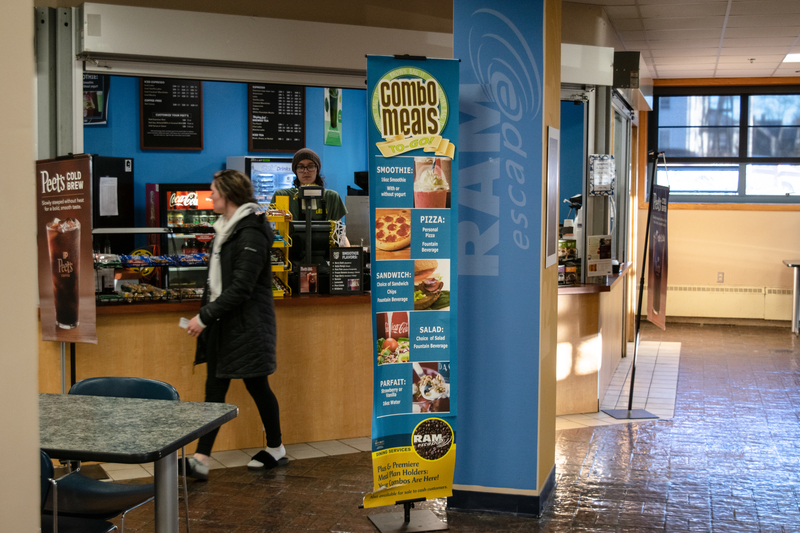 Dining Services in introducing a commuter meal plan featuring combo swipes for the 2019-2020 school year. Photo by Anna Meassick. 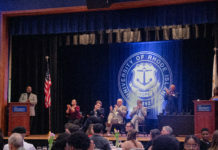 Dining services will be issuing updated and new meal plans for the 2019-2020 academic year with more options for both residential and commuter students. All students who live in residence halls, without their own kitchen, are required to have a meal plan. Students living in residence halls with kitchens or students who live off campus have the option, but aren’t required to purchase a meal plan. Each meal plan is purchased for a single semester. All three on-campus meal plans still have unlimited access to the dining halls. Other aspects of the current meal plans will change slightly. The Campus Complete plan will have 14 guest passes, four daily combo meals and will include $200 for a student’s Ram Account. It will cost $2,650. The Campus Plus Meal plan will have 10 guest passes, three daily combo meals and will include $50 for a student’s Ram Account. It will cost $2,450. The Campus Standard Meal plan will have six guest passes and cost $2,250. Pierre St-Germain, director of dining and retail services, has taken student feedback into account when working to create these new meal plans. One thing St-Germain heard from students is that they often don’t use all of their guest swipes but are always asking for more combos. There will also now be two new meal plans called “combo plans for commuter students,” giving them access to both combo meals and the dining hall. 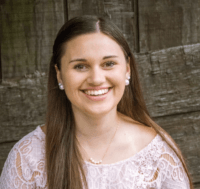 “The idea is that it allows students to utilize an aspect of the dining program that a lot of students seem to like and seem to want to work within which are combos,” St-Germain said. The Combo 100 plan includes 100 combo swipes, three guest passes and $150 for a student’s Ram Account and will cost $700. The Combo 50 plan includes 50 combo swipes, three guest passes and $50 for a student’s Ram Account and will cost $350. Both combo meal plans allow students to use two of their combo swipes in exchange for entry into Butterfield or Mainfare dining hall. Junior Evan Ozolins is a current on-campus resident who plans to live in apartment-style living next year but not have a meal plan. After hearing about the new options for combo meals, he said that this would be something to consider. “I would definitely be interested in the combo swipes if it wasn’t insanely priced,” Ozolins said. On top of this, St-Germain is trying to come up with new ideas for combos as well. He said that they added mozzarella sticks as a combo meal this semester and are now working towards adding healthier combo options. This also includes adding more vegan and vegetarian options. The plan to create more vegan and vegetarian options could encourage students to purchase a meal plan. However, some students would prefer to see what options would be presented before committing to spending money on a meal plan. “I don’t think I would go as far as getting a meal plan off campus but if the combo had some more options then I would put more consideration into it for sure,” sophomore and vegetarian Joe Franco said. There are also flex plans for commuters that contain swipes that can be used interchangeably between the dining hall or combo meals. The Flex 72 plan includes 72 swipes and $200 for a student’s Ram Account for $700. The Flex 36 plan includes 36 swipes and $100 for a student’s Ram Account for $500.